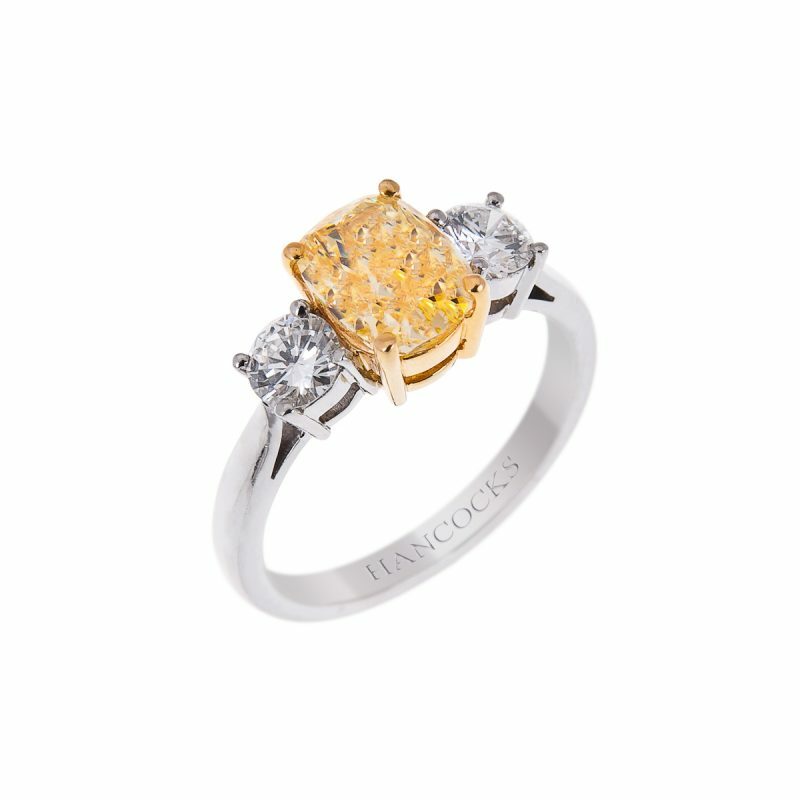 A GIA certificated cushion princess cut, natural fancy yellow diamond ring mounted in an 18ct yellow gold claw setting, surrounded by a platinum halo of brilliant cut diamond that flows along the shoulders. 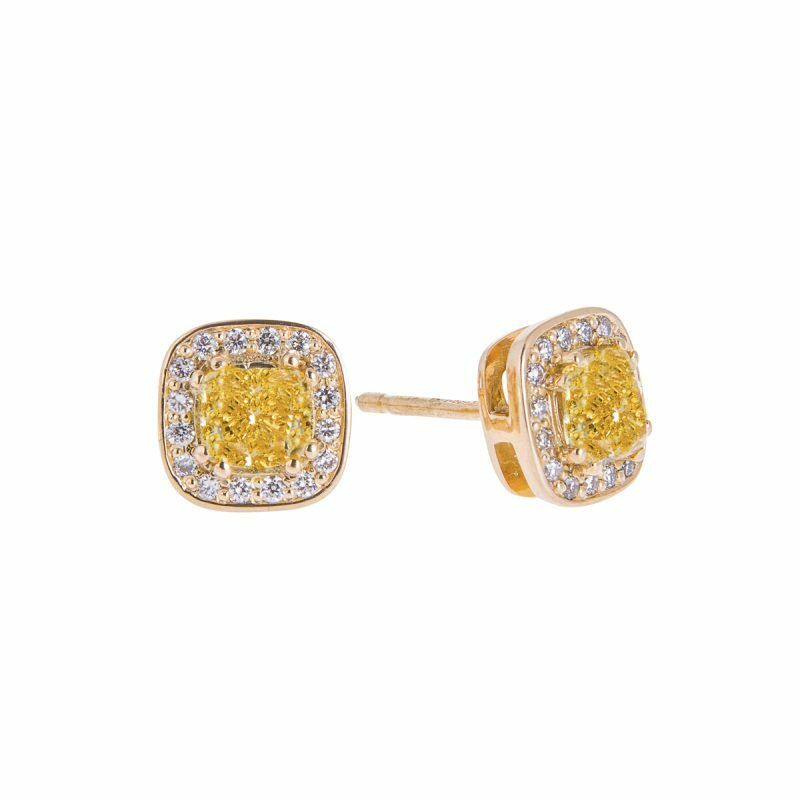 The central diamond is shown off beautifully by a further row of brilliant cut yellow diamonds that follows its every contour. 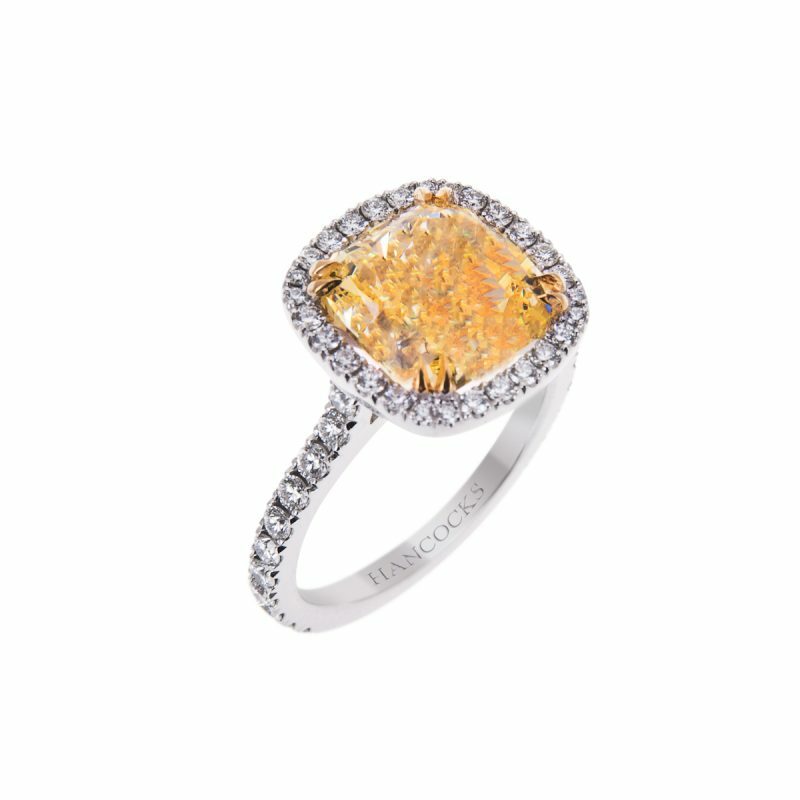 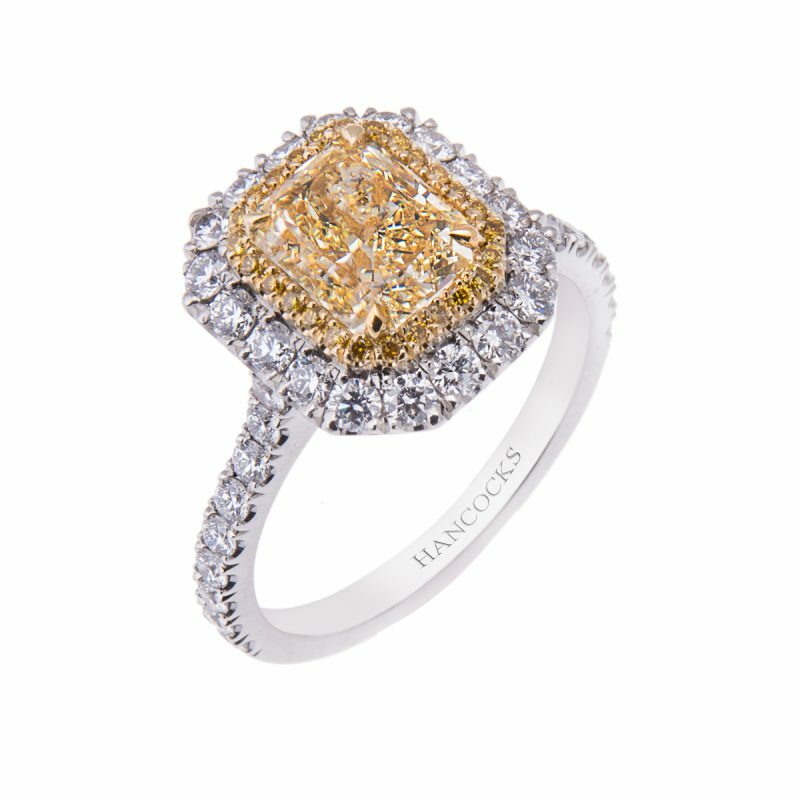 A treasure of timeless beauty, an central yellow diamond glittering from an inner fire, to capture the heart of the wearer. 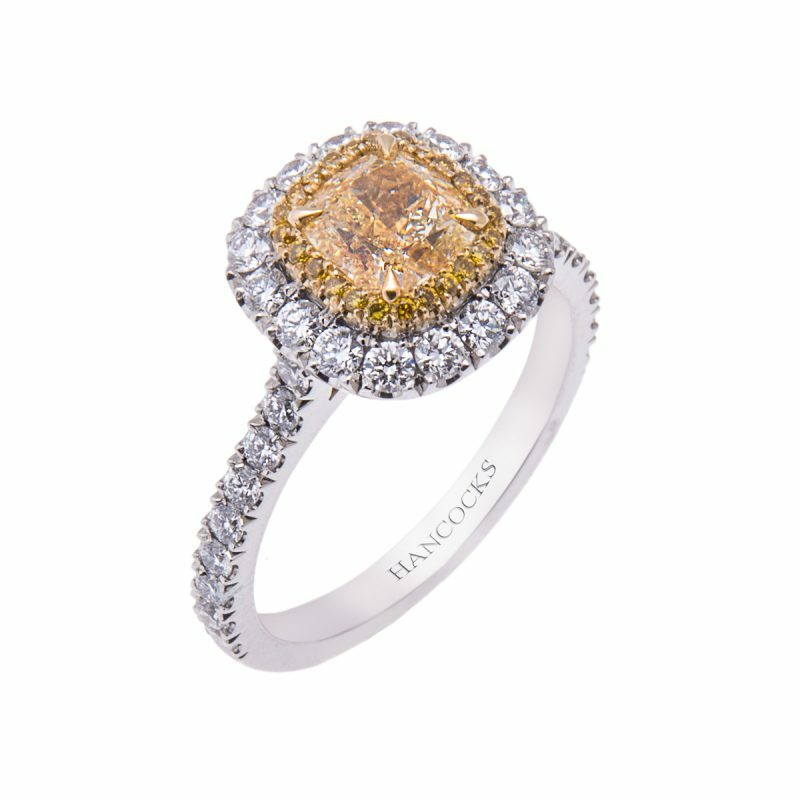 The diamonds colour like the sun’s rays, reflects the warmth of love, guarded by the shoulder stones of white brilliant cut diamonds. 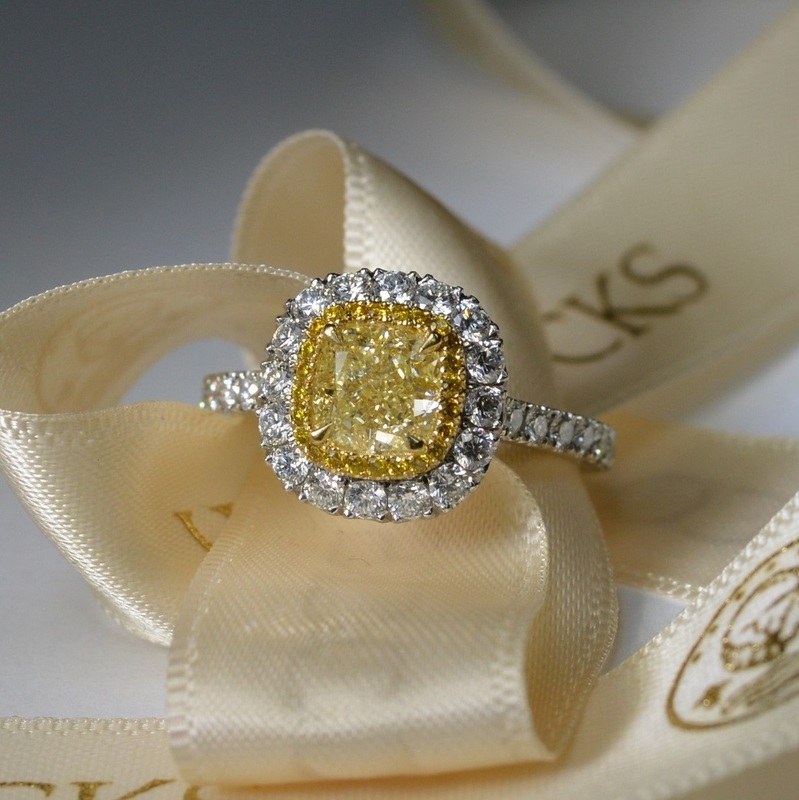 A gift of emotive love, to be basked in forever.